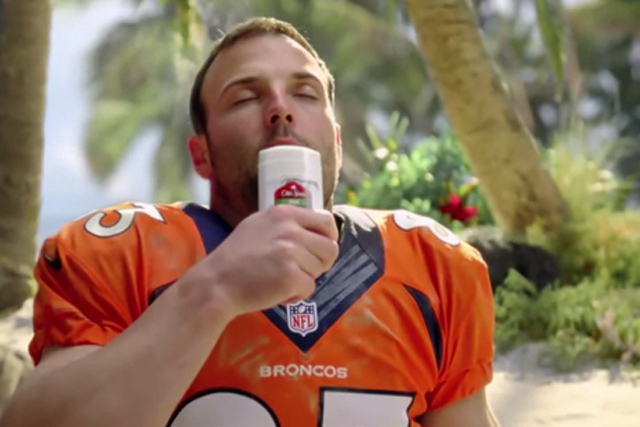 NFL star Wes Welker gets his legs eaten by Komodo dragons as he sniffs a deodorant stick in a tongue-in-cheek 80s-style US ad for Old Spice. The ad is one of four deliberately cheesy 20-second spots starring Welker and fellow American football star Jerod Mayo. Executions include an ad in which Welker spends so long in the shower that he returns to an empty stadium ground having missed the game’s second half. The "Unnecessary Freshness" ads have already accrued tens of thousands of hits on Old Spice’s YouTube channel and are also being aired on US TV for the start of the American football season this week.